Guatemala is a magical country in the Mayan heartland of Central America. 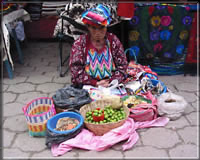 Indigenous Guatemalan culture is alive and well in the ancient ruins of Tikal, the Mayan- Catholic rituals, the open and colorful market of Chichicastenango, and the blazing colors of everyday Mayan dress. The colonial town of Antigua, the original capital of Guatemala, and Lake Atitlan, viewed by many as the most beautiful lake in the world, are two destinations guaranteed to enlighten the soul. 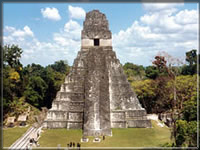 All yours to discover on our “Color & Culture of Guatemala Package”.